The Red Sox continued their late-offseason small moves by trading for utility man Brad Emaus from Colorado in return for a player to be named later. Emaus can play either third or second base, and now joins Nick Punto and Mike Aviles as utility men on this 40-man roster. He is a very intriguing piece to be added to that group, since he is just 26 and still has all three options left. Because of this, he will likely begin the year at AAA Pawtucket. 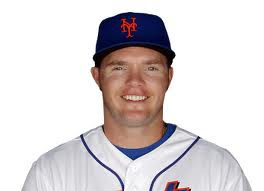 Emaus was picked up by the Mets prior to the 2011 season in the Rule 5 draft. New York gave him exactly 14 games and 42 plate appearances before deciding he was not worth a spot on the 25-man roster, and shipped him back to Toronto, who swiftly waived him. He was then picked up by the Rockies, who kept him in AAA all year. He has played through five minor league seasons, and has spent the past two at the highest minor league level. He's shown potential to stick on a Major League roster throughout his minor league career. His biggest asset has been his ability to control the strike zone, especially by drawing walks. He has been one of the guys who scouts aren't in love with because of his physical tools, but he has been able to stick around rosters. A reason for this has been his ability to draw walks. Throughout his minor league career, he has kept his walk rate in double digits, and even had it higher or equal to his K-rate three times. This ability to control the zone has endeared him to some in the sabermetric community, and should allow him to get a chance at the big league level. He also showed some pop in the minors, but last year his .252 ISO at Colorado Springs is highly attributable to his home park, which is hitter-friendly. Emaus can play two positions, but doesn't play either of them particularly well. Because of this, and his subpar speed, he will probably never be a good full-time player. However, with a little improvement of his bat, he should make a solid bench player. For this year, though, he may never see Fenway Park. The only probable way he will be called up to the big league roster is if Aviles or Punto goes down. So consider this yet another AAA-depth move by Ben Cherington.